The Resurrection of Life will be a glorious, climactic event, which can be compared to the birth of a baby following a time of intense pain and labor (Matthew 24:8 and 1 Thessalonians 5:3). Jesus called this a period of "Great Tribulation," such as has never been since the beginning of the world and never again will be. (See Matthew 24:21, Jeremiah 30:7, Daniel 12:1, Revelation 2:22 and Revelation 7:14.) It will last for 42 months (See Daniel 7:25 and 12:7 and Revelation 11:2,3,6,14 and 13:5.) Thus, just as going through natural childbirth is usually the hardest time of a woman's life, so also going through the Great Tribulation will be the hardest time of history for humans, especially followers of Jesus - many of whom will be persecuted or even beheaded! After the Resurrection of Life happens, the world will experience the greatest kinetic military action of all history: Satan and his army vs. Jesus and His army. (See Revelation 19:11-21.) Jesus wins. Then He will set up a thousand year kingdom in which wars will cease and the earth will be cleaned up and healed. The Resurrection of Condemnation will occur at the end of the thousand years. By the time Jesus returns, around half of the world will have already been killed by various kinds of disasters, wars and pandemics. (See Revelation 6-18.) 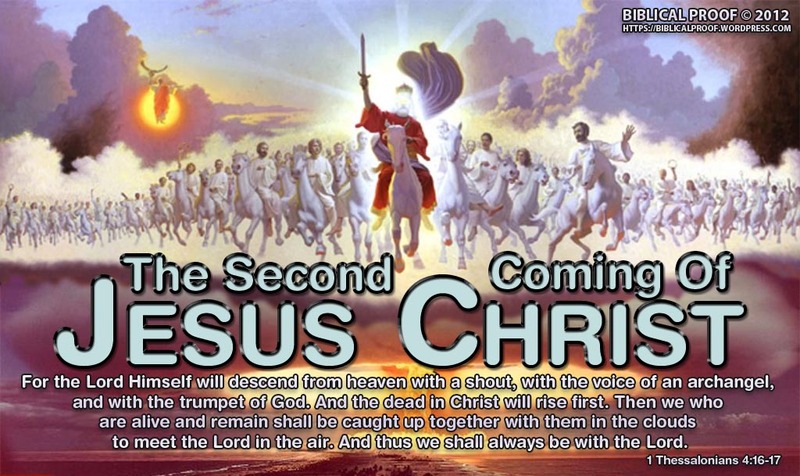 After the followers of Jesus are resurrected/raptured and meet Jesus in the air, most of the world will mourn, because they will realize they are doomed to die and be punished, because they worshipped the Beast or took the Mark of the Beast. (See Revelation 14:9-11.) There will also be some survivors living outside the Internet control grid who didn't believe in Jesus but also didn't worship the Beast or take the Mark of the Beast. They will live and repopulate the earth. Never worship false gods or accept the Mark of the Beast. Instead, trust in Jesus for to meet all needs, including guidance, provision and protection. Read the Bible every day to hear God's voice and understand how much He loves us. The best resource is the Bible. Beginners can start in the Gospel of John and then read the other Gospels and then Acts through Revelation and then the Old Testament. It is alive and useful for daily life. It is the only book in the world that is 100% true and inspired by God. Many holy men of God have risked or lost their lives as a result of helping to preserve and/or translate it into the languages of common people. It is the most powerful book in the world if people obey it, so many people are afraid of it, especially religious leaders who like to maintain power over people. Some people say it has been distorted or corrupted over time, but there is very good evidence that God has indeed preserved it.